What Is an Infrared Sauna and Is Treatment Effective? Heat treatments have been used for as long as humans have documented their existence. Heat is a very effective tool when it comes to treating injuries, decreasing stress and increasing relaxation. Saunas themselves have been around for a long time as well as infrared saunas, you just haven’t heard of them. Infrared saunas have come a long way since they developed over 100 years ago but still operate on the concept that these light waves create heat on the body, which causes us to sweat and release toxins as a result. Sauna treatments have been well researched, and things like anti-aging, joint health, muscle health and cardiovascular health are all positive effects that results from infrared sauna treatments. Another benefit to infrared sauna treatments is that they come at little cost both financially and health wise. Saunas have shown to relax people and improve mood, while being very safe to use. The difference between traditional saunas and infrared saunas is that the light from infrared saunas penetrates your skin to generate heat as opposed to conventional saunas which use heat to heat the circulating air within the sauna. This makes infrared saunas a better choice for people who don’t like the high heat of other saunas, or just don’t like the dry atmosphere. The lower temperatures of infrared saunas are more tolerable for most people. 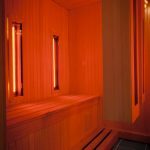 Do Infrared Saunas Provide Any Health Benefits? Studies conducted showed that infrared sauna treatments not only reduced chronic pain, but also could help reverse pain completely with little to no side effects. 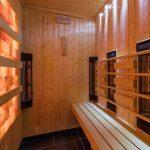 Infrared Saunas were found to be especially effective against rheumatoid arthritis patients which reduced pain and stiffness over the course of only one month. 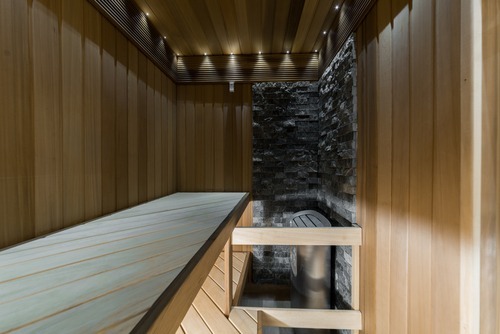 The only side effect exhibited by patients was fatigue which is to be expected when sitting in a heated sauna for prolonged periods of time. The short term benefits were seen as worthwhile when compared to the long term side effects. Heat treatments have been used for centuries to treat chronic pain, and studies have backed up thes e age old remedies in confirming that regular consistent heat therapy treatments can reduce chronic pain and improve quality of life without the need for medication. One study conducted showed that patients who underwent treatment once a day for only four weeks showed improvements in their levels of pain, mental health, and irritability as well. After just two years of treatment, over three quarters of the group were able to return to work in full capacity. Infrared sauna treatments are also beneficial in that they help to regulate blood pressure, cholesterol levels and stress as well, which helps to improve the health of the heart and circulatory system as a whole. Sauna treatments have even been found to be effective in treating heart arrhythmias, otherwise known as an irregular heartbeat. Patients also experienced improved blood flow and reduced feelings of stress as a result. How Do Infrared Saunas Work, and Are They Safe? Infrared saunas work by emitting light energy in the form of infrared radiation which is believed to have many additional benefits to just a traditional sauna. When most people hear radiation they first think of horrible things like cancer and mutations as a result, but the facts are that we are exposed to radiation every day. In the case of infrared radiation, we are constantly exposed to it from the rays of the sun, so when you hear infrared radiation there is no reason for alarm. Infrared saunas emit this radiation which is beneficial to us, in that it positively alters our cells at a molecular level, affecting certain organelles within them. This radiation can help to do things like improve the bonding between molecules in the body, which can help to fight against free radicals present. Another concern people have is whether or not infrared saunas are painful because of how they work by penetrating the skin. The light rays from the infrared sauna don’t penetrate too deeply in to the skin, and as a result it isn’t painful at all, and shouldn’t feel uncomfortable.